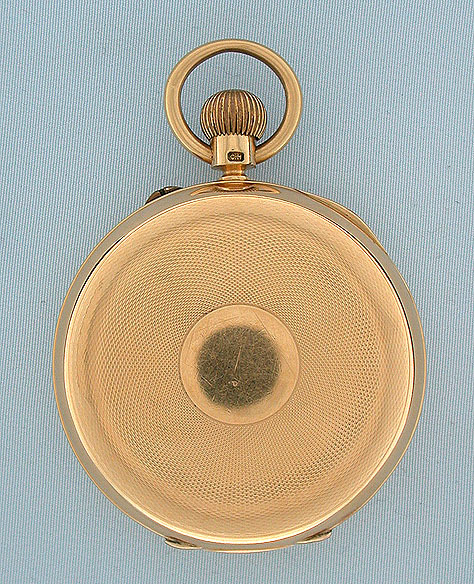 Fine and scarce English 18K gold 52.5 minute karrusel with Kew Observatory Class A, made by J.J. Hissey, circa 1895. 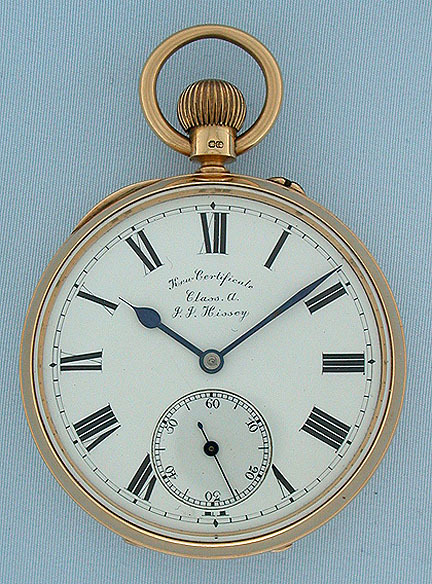 White enamel dial with bold blued steel hands. 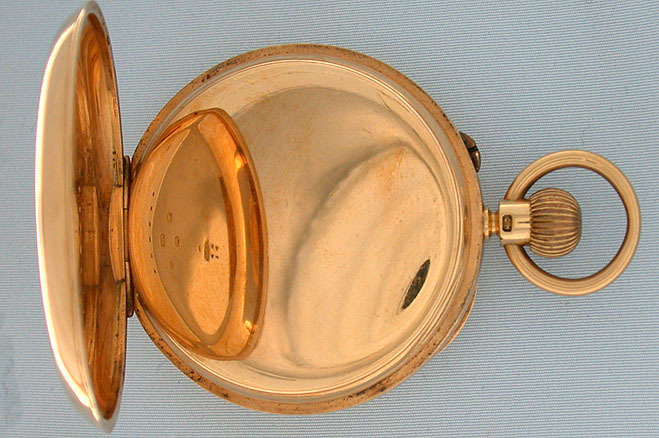 Plain polish case with slight pocket wear. 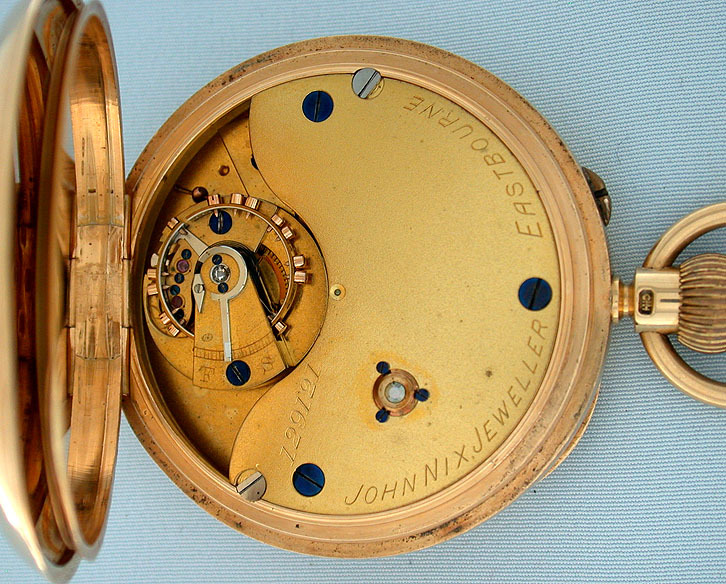 Gilt 3/4 plate 15 jewel frosted gilt movement with the name of the retailer. Diamond cap jewel to the balance. 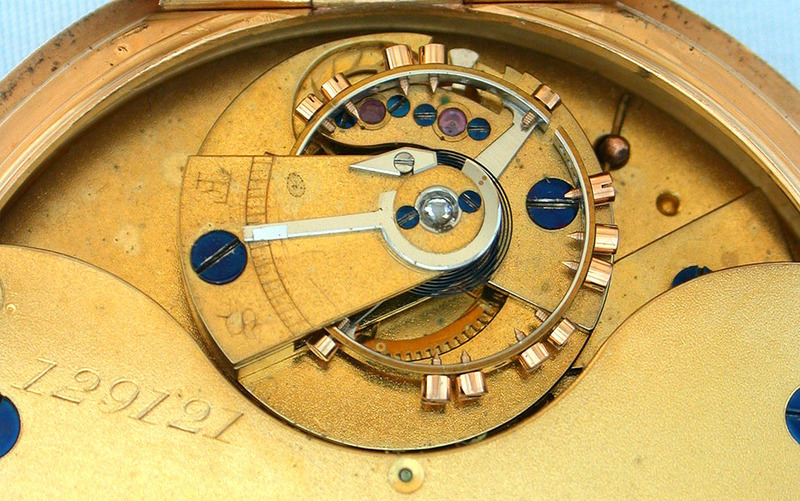 This particular watch was entered in a timekeeping trial at the Kew Observatory and was awarded a Class A certificate.